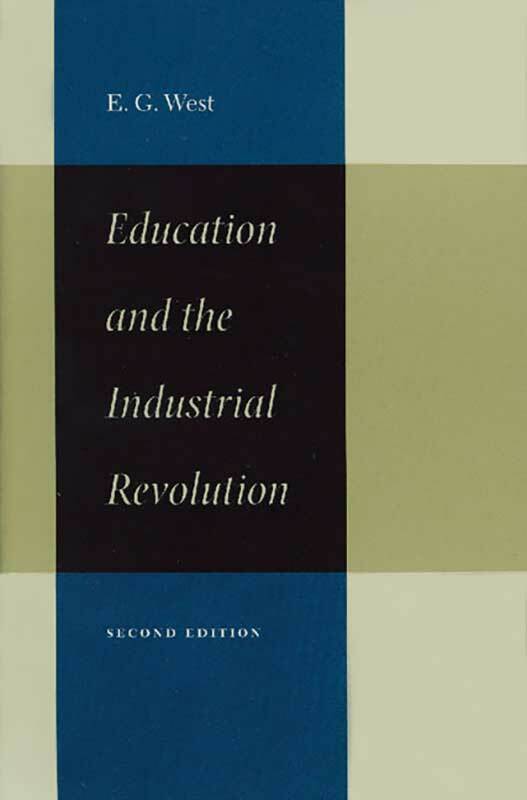 In Education and the Industrial Revolution, West writes about an Educational Revolution during the Industrial Revolution. This book adds important historical context to E. G. West’s better-known Education and the State. Taken together, the two books make a very strong case not only for the separation of state and education, but also the robustness of the market in providing educational services, even in such a difficult period as the Industrial Revolution. West unearthed a large and growing market for education going hand in hand with the rise of industrialism and occurring prior to government intervention. His views were not very palatable to the educational establishment because they contradicted the long-held view that the Industrial Revolution was a disaster and that only government intervention and “compulsion” brought the joys of education to people. Since the inadequacies of the Industrial Revolution remain a key factor in most critiques of capitalism and individual liberty, Education and the Industrial Revolution makes an important contribution to a better understanding of the period. West’s skills as a researcher, economist, and historian give breadth to his work. By taking on such issues as supposed educational deficiency, market provision, actual literacy rates, theories of educational reform in the nineteenth century, and the realities of educational intervention, West helps us come to a richer understanding of liberty—one that is little-known today but every bit as relevant as the day it was written. Edwin G. West was Professor Emeritus of Economics at Carleton University, Ottawa.